boatswain and P7ast1k like this. Go sling one on your wrist (if you can find one). The Reese's HEV just isn't an issue on-wrist. 100% agree. The HEV quickly just becomes a part of the design element. I consider myself primarily a Rolex/Tudor guy, have a Hulk and 'had' a Black Bay Noir and Black Bay 58. The SMPc came in on Sat and iI haven't taken it off since. 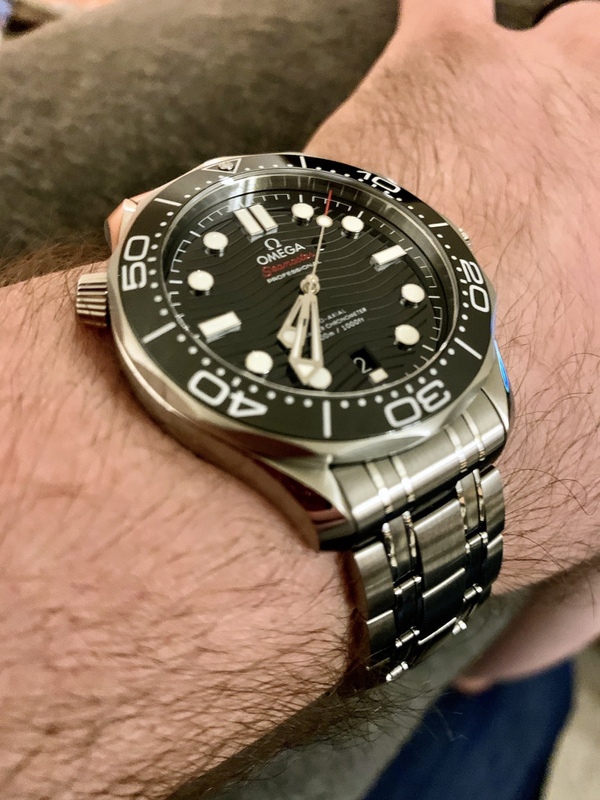 I'd put this thing right up against the SubC, while it completely blows the Black Bay and Pelagos lines away. BufordTJustice, 1165dvd and kangajack like this. For me, the HEV is a bifurcated issue. It's partly a signature marque of the design of the Seamaster, like BMW's kidney grilles, a 911's profile, etc. And it's also a design improvement over the previous generations because it retains 30-50m of water resistance even when un-screwed. 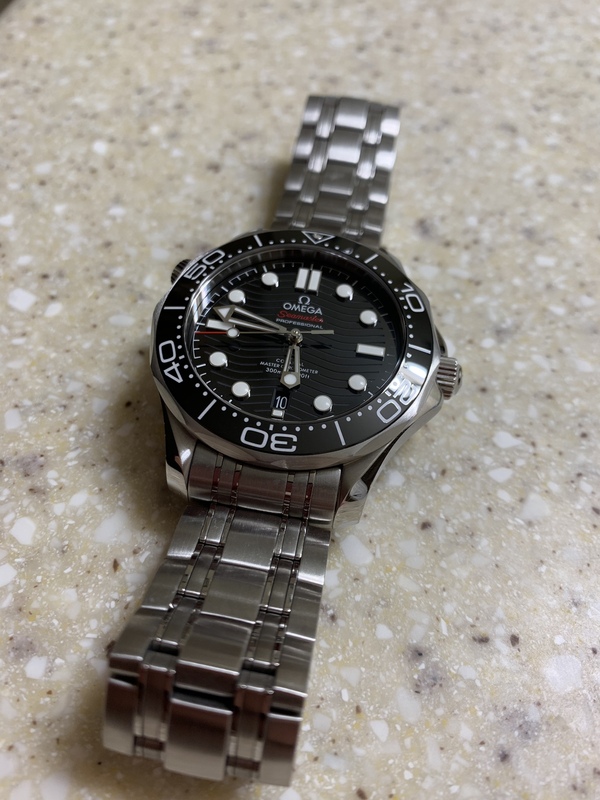 I read that this wasn't because a saturation diver would ever need to operate the HEV while underwater, but because the number one cause of damage to the watch was water ingress from an HEV that somebody forgot to close. And, in that respect, it's no different from a crown that maintains some WR ability when not secured. 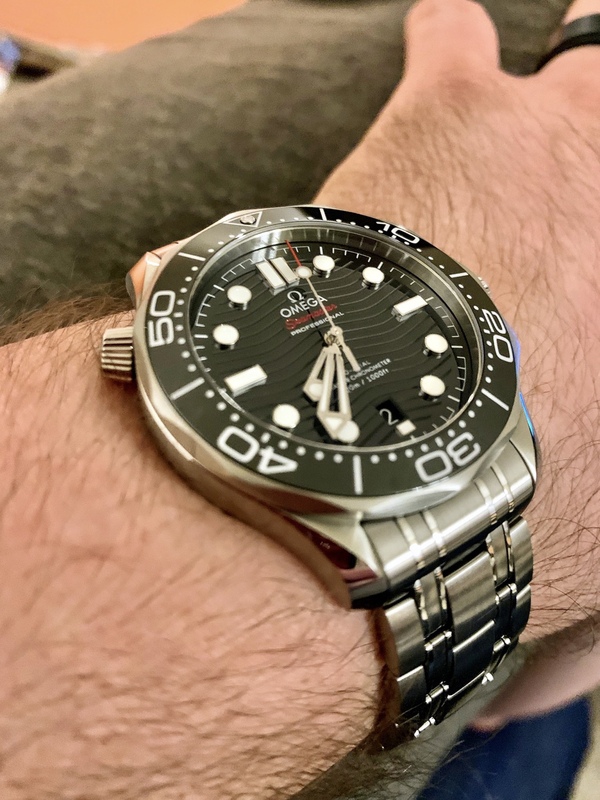 Omega really put on a show with this one. Fair play though there an argument they’ve introduced an unnecessary structural weakness and then mitigated it! BufordTJustice and kangajack like this. Rolex did the same thing and struggled for years with their "automatic" HEV in the Sub tending to automatically leak without warning. 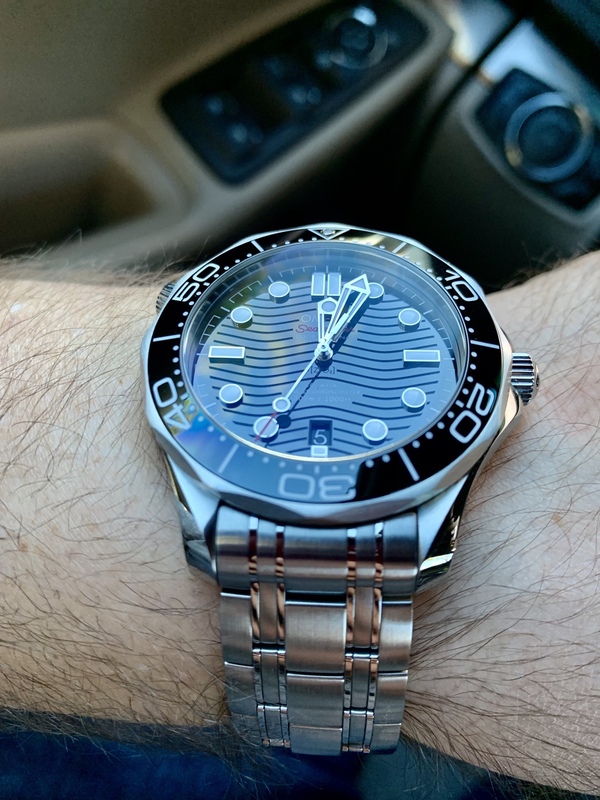 In a luxury diver, the HEV is a feature that many buyers expect. This is getting crazy. 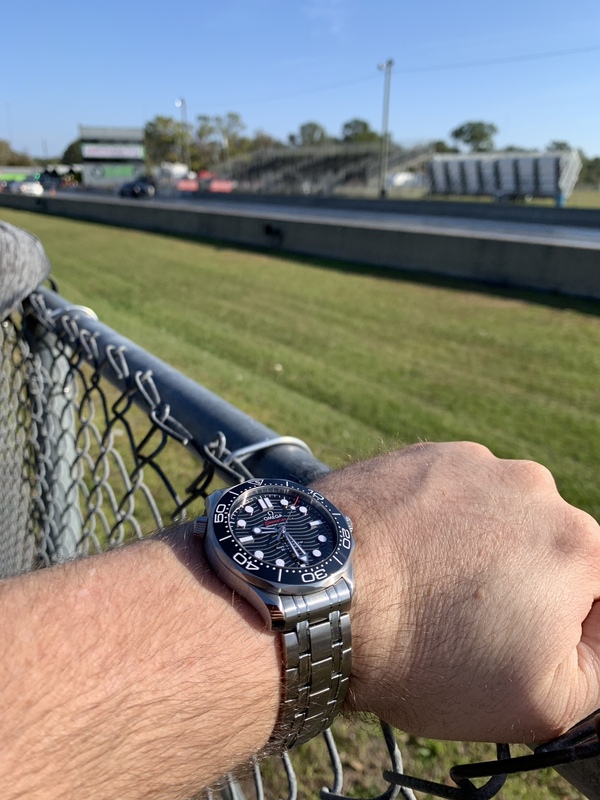 Rolex might be in a bit of a panic if this performance is writ large across the Omega line. .1 seconds fast per day across 126 hours. Average of 1.1 spd fast over 38.9 days. And that's while sustaining multiple minor shocks (one series was using a mini sledgehammer while wearing the watch to hammer on some metal). And my workspace in my lab has my left hand hovering directly over an RME Babyface Pro external DAC/volume control, and about six inches from a three pound slug of radial neodymium that is the woofer motor for my active BlueSky Sat6D studio monitors on my desk. All day. Or sitting directly next to the N52 neodymium magnets of HDD's inside servers or workstations while I work on them. It's not lived an easy life. And it's just KILLING IT!!! I'm beyond pleased! From a miniature machine spinning in my wrist! No watch winders (I don't own one yet). I simply place it dial up on my dresser at night and wear it all day, every day. Also, it hasn't been hand wound more than once for the entire timing run. Just sensational. Last edited by BufordTJustice; February 11th, 2019 at 00:33. Last edited by Filski; February 11th, 2019 at 11:47. BufordTJustice, P7ast1k, thx67 and 5 others like this.